If you own a SlingBox, or are thinking of picking one up, and want to be able to watch your TV on multiple mobile devices, it will cost you only half as much for the apps for the next three days. For those of you who don’t know about SlingBox, it’s a popular box that you can buy that will stream your TV content (and DVR content) to computers, phones, and tablets. The only downside is it costs $29.99 for each app, and you need separate apps for tablets and phones. Well, normally it costs $30, as right now visitors to their respective app stores can pick up the app for just $14.99, which should be a lot more palatable, especially if you recently picked up an iPad or Nexus 7 and got a bit of sticker shock when you realized you had to repurchase the app for a tablet. Owners just moving into mobile will be able to outfit a tablet and smartphone for the regular cost of just one device – we imagine that this might sit particularly well with those of you who recently joined the realm of tablet owners with Google’s popular new Nexus tablet. Of course a SlingBox itself is not small purchase (ranging from $150 to $300 for the HD version), but for people that want to make their normal TV content available everywhere (even on the go) there are few options that work as seamlessly. If you are a SlingBox owner and want to pick up a couple more SlingPlayer apps, don’t wait too long, as the deal ends July 22nd. 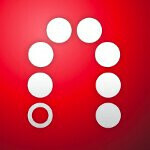 SlingPlayer apps are available for iOS and Android devices, the Kindle Fire, and WP7, BlackBerry, Palm, and Symbian phones. Grab a redirect to your favorite app store at the source link below. You get one slingbox mobile app with each box you purchase (Including the Dish Version), so this would just be for additional purchases. That must be new. When I bought the WinMo version 3 or 4 years ago, they didn't give me a mobile app with my new Slingbox HD. I had to buy it for $30. Then, when I switched to Android, I had to pay $30 again, even though I was promised that my original license would be good for any future phone I switched to, regardless of OS. They even used this future use as a selling point. When I emailed them about the issue, they ignored me. When I complained on their forums, they deleted the posts. When I complained to the BBB that they weren't honoring their terms of purchase, they didn't even bother to respond. Sling is a dishonorable company. And their product isn't even great. The video streaming over 14Mbps LTE is stuttery. Good to know. I was curious how that worked. The boxes at Best Buy have it wrote on the box that you get a free one. Online and on Dish website it had it too. From what I gather it looks like it goes through their servers too and not a direct connection, so would be slow and useless. I guess them and Dish go together pretty good then. I just recently switched from Dish back to Cable...I even tried DirectTV, but they were worse. Someone needs to come up with a real streaming product that just works and not try to rip off the customer. I don't understand why someone would by HD sling box. In reality you don't get full hd quality on your device on the receiving end. You sling box uses compression technology. I suggest to anyone interested to just buy a sling box solo. It will receive hd signal from the source.